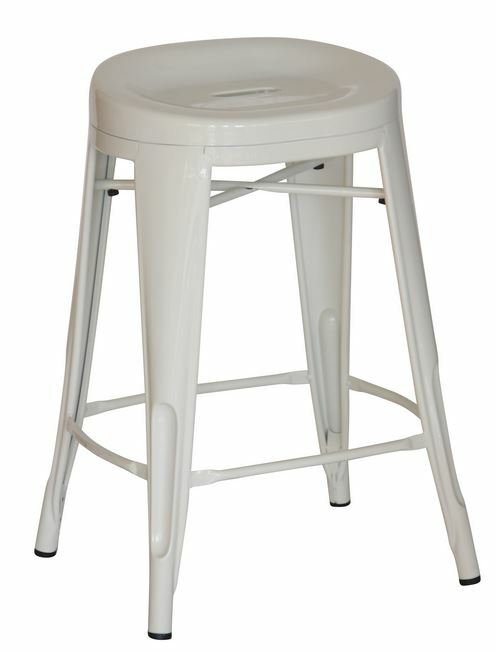 Our White Contoured Bar Stool is the perfect addition to any home. Contoured seat provides support and comfort. Top handle opening make these easy to move and stack. Comes with solid steel seat, Powder-coated metal frame, mar-resistant finish. They’re perfect for outdoor or indoor use. The legs have protective feet to prevent damage to flooring.